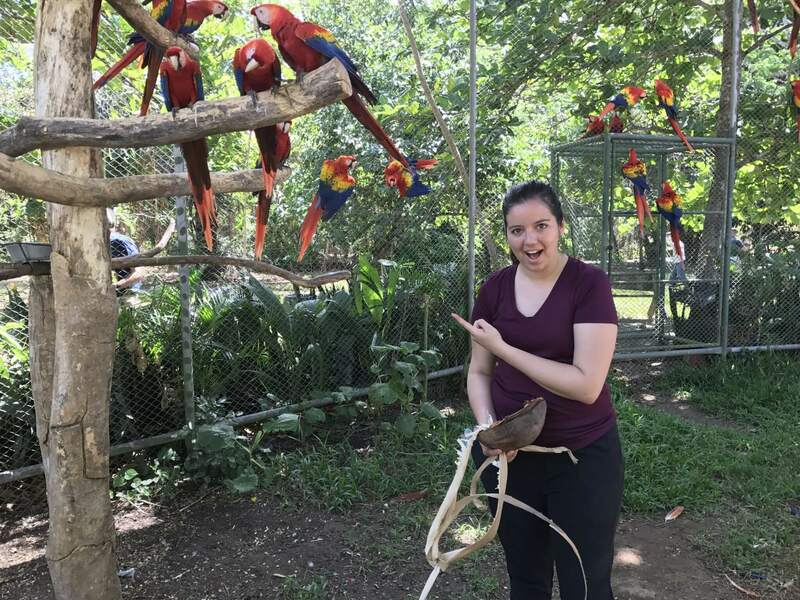 Volunteering with wildlife in Costa Rica is an experience that provides knowledge on the management of wild animals of the neotropic. 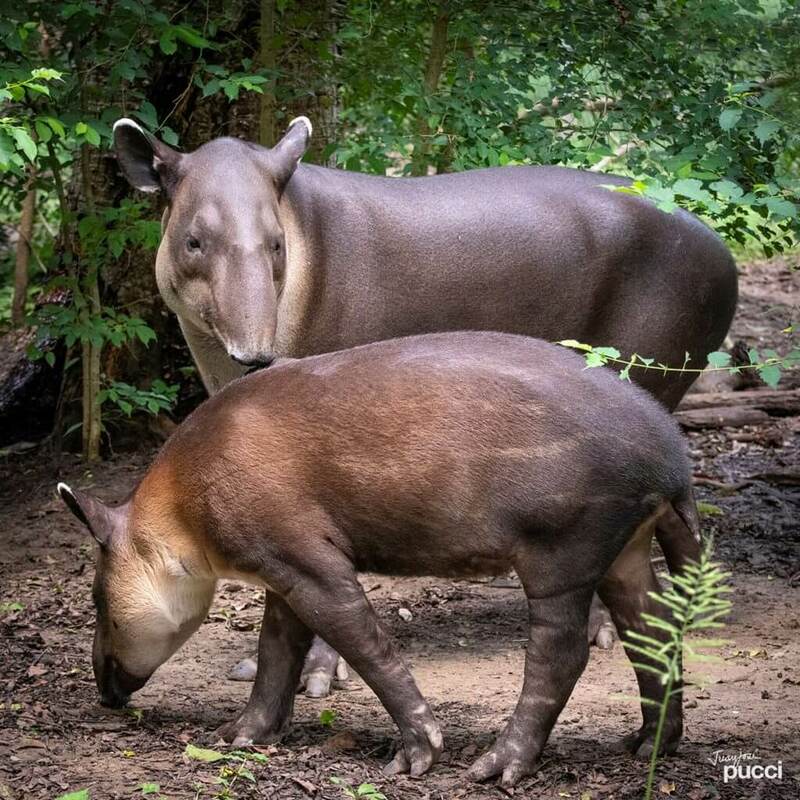 If you are looking to work with wild animals, NATUWA is a place where you have the opportunity to learn about aspects of the ethology and management of animal species such as jaguars (Pathera onca), sloths (Choloepus hoffmanni), macaws (Ara macao and Ara ambiguus), tapirs (Tapirus bairdii), anteaters (Tamandua mexicana) and more. The care of animals and the environment that NATUWA carries out requires people with a high degree of commitment and cooperation. There are numerous diverse functions that you can perform to help animals, so you are not required to have specific knowledge about animals. All activities will always be carried out under the supervision of the organization’s staff. 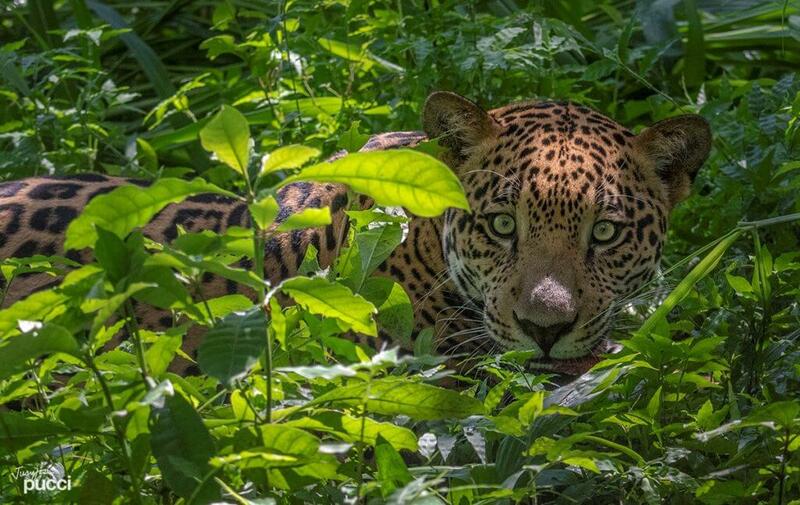 The wildlife volunteer opportunities in Costa Rica, offered by NATUWA, do not promote the domestication of wild animals. Our primary goal is to make people aware that we should NOT REMOVE wild animals from their habitats. Additionally, volunteers can not interfere with the animal’s natural behaviors while assisting them. Therefore, if your intention is to touch, hug, kiss, or talk to wild animals, then we recommend you look for another project. But, if you are seeking a place with a meaningful cause where you can give your time, effort and learn about with these wonderful creatures, NATUWA is your project. The Wildlife Volunteer who comes to NATUWA, joins our Wildlife Rescue Team to help carry out a daily Rescue Center routine. 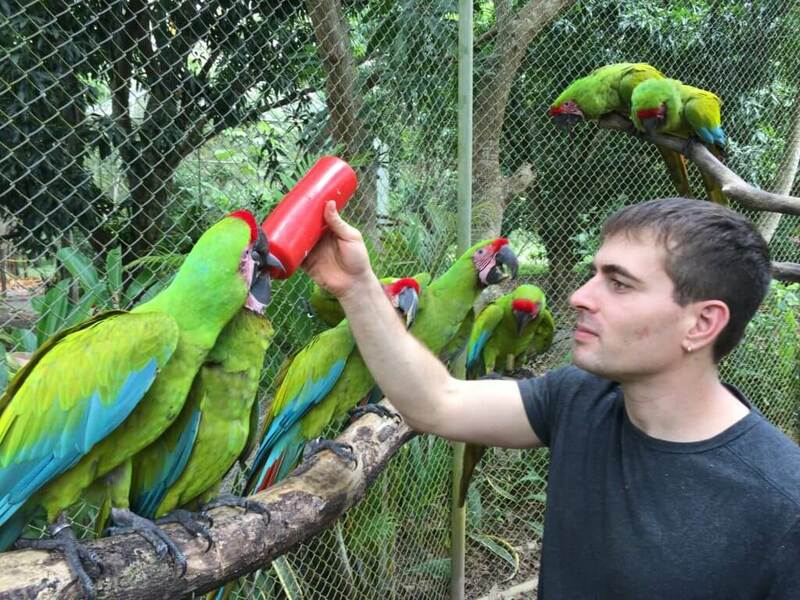 This includes feeding the monkeys, jaguars, tapirs, macaws and many more. Participate in the process of animal rescue and rehabilitation. 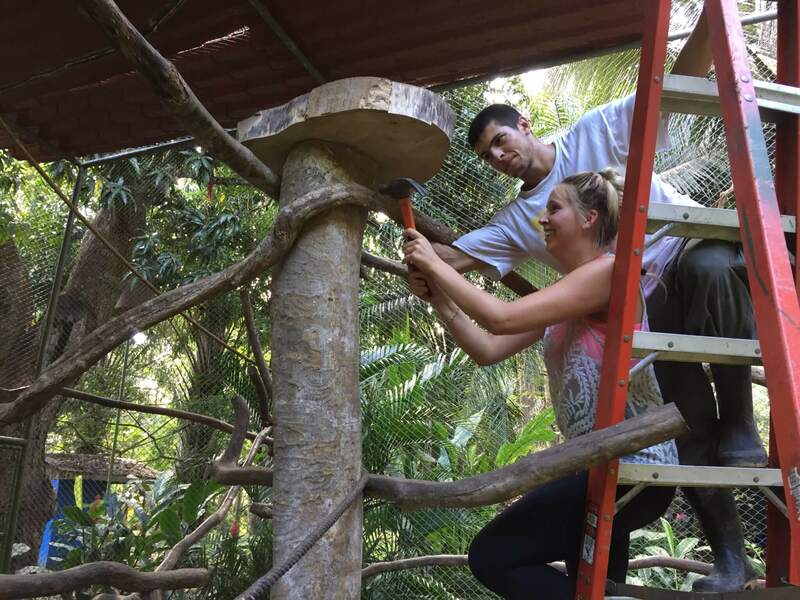 In addition, they perform maintenance work in enclosures and environmental enrichment initiatives for animals. 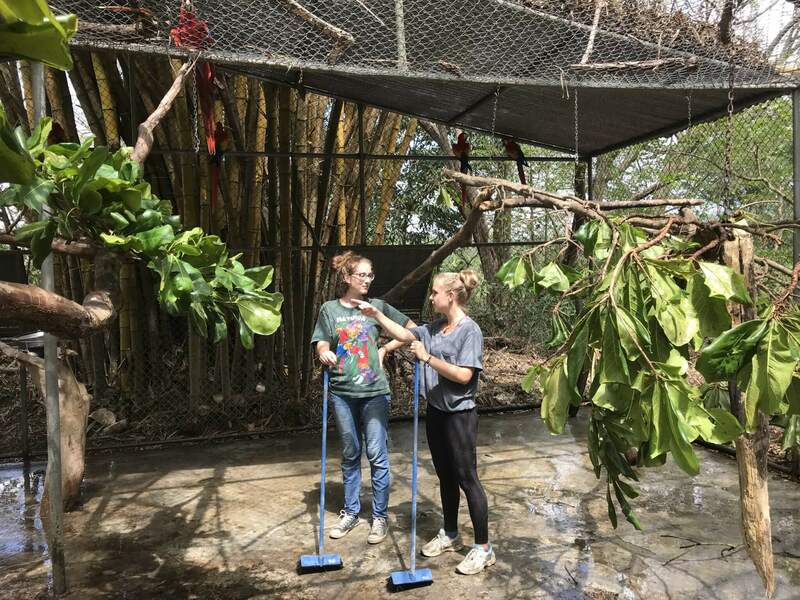 The tasks are focused on providing welfare to the animals and allow volunteers to learn how to handle and care wild animals correctly. 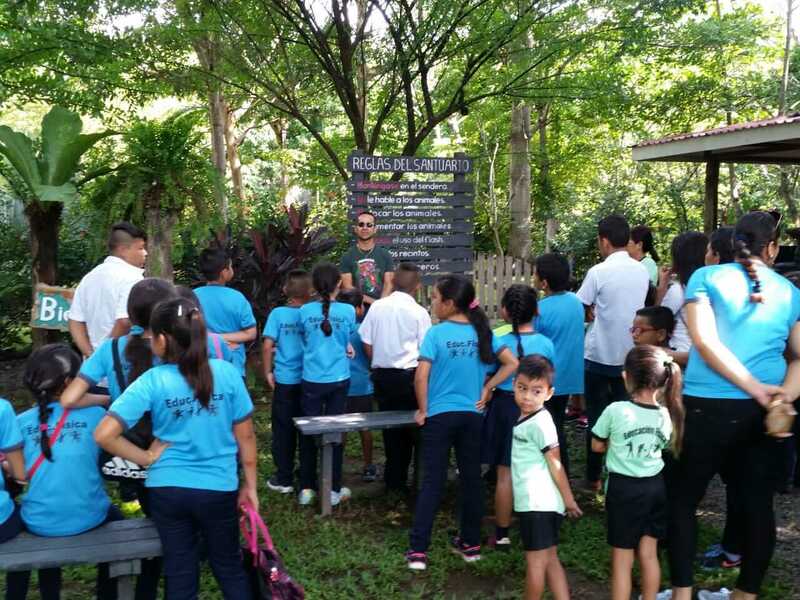 This volunteer project is quite different from other projects around Costa Rica. We never have a shortage of work, in fact, we are almost always looking for more hands to help! We have over 450 animals that need daily care. If you are lack motivation or passion for animal care and conservation, this may not be the project for you (and that’s ok!) Our daily schedule can be intense, but the work here is extremely rewarding! Assisting animals in case of emergency. Participate in efforts to rehabilitate and release animals. Assisting in giving tours of the sanctuary. Maintenance of animal enclosures and property. Constructing organic structures for the animals. Participate in the environmental enrichment of all types of animals. Agricultural production (for volunteers and animals). Cleaning under animal feeding stations. Providing fresh cut grass to our herbivores. and anything else that needs to be done! 6:00am-8:00am – Morning feeding of animals with supervision after an introduction period (minimum 3 days). 12:00md-1:00pm – Lunch, WiFi, and nap time! 1:00pm-3:00pm -Afternoon feeding of animals with light supervision after an introduction period (minimum 3 days). After the afternoon feeding, volunteers are free to do whatever they would like for the rest of the day! Dinner is ready by 5:00pm, and it is self-serve. One of the most emblematic creatures of the tropics in Costa Rica are the sloths, these charismatic animals with dense hair live in the forest, immersed in the vegetation, sometimes they are confused with mounds of termites or simply imitate the environment very well, which makes it very difficult to spot them. 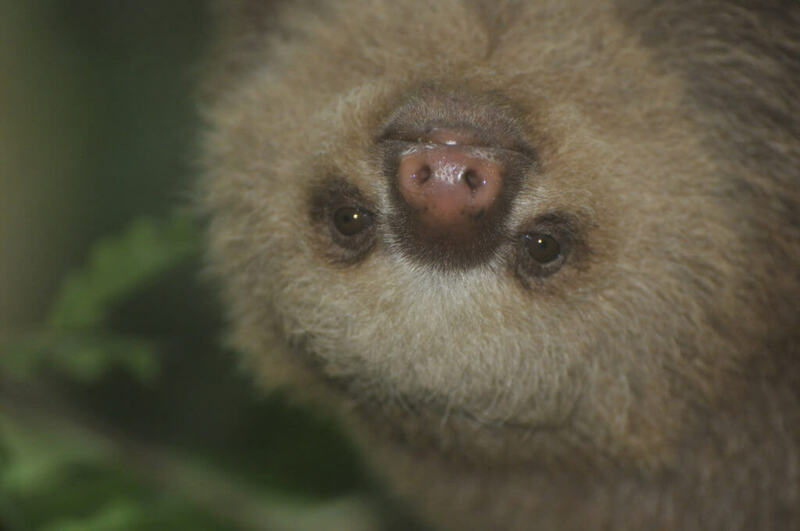 In Costa Rica there are two species of sloths; one species is of diurnal habits, the three-fingered sloth (Bradypus tridactylus) while the other, the two-fingered sloth (Choloepus hoffmanny) prefers to be active during the quiet of the night. The roads go through the natural habitat of the sloths, often they are trying to understand this big asphalt mace in the middle of their house, their forest … many are injured, others orphaned due to different reasons (dog attacks, road raids, destruction of its habitat), where the human being is always responsible. 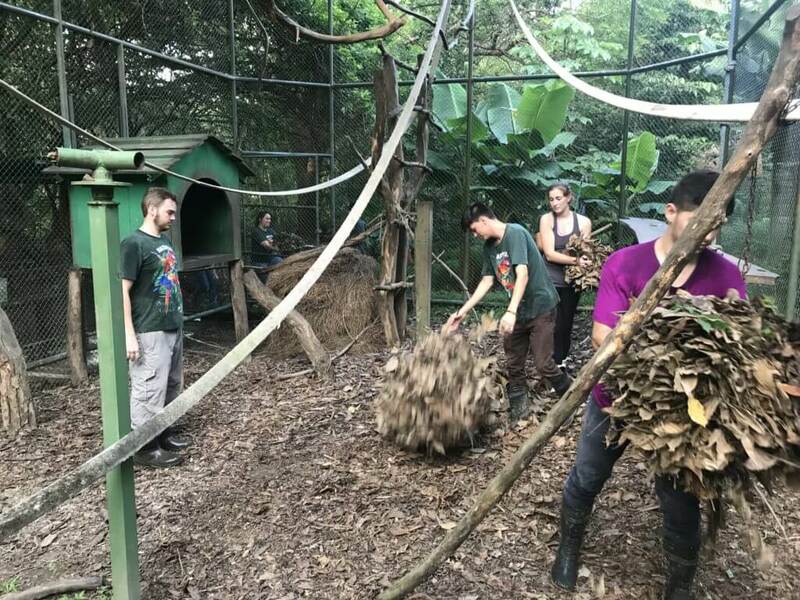 The volunteer with sloths in Costa Rica, play an important role in the rehabilitation of these beautiful creatures, rehabilitation requires many hours of work, both day and night, so that the sloths can return to their natural habitat. 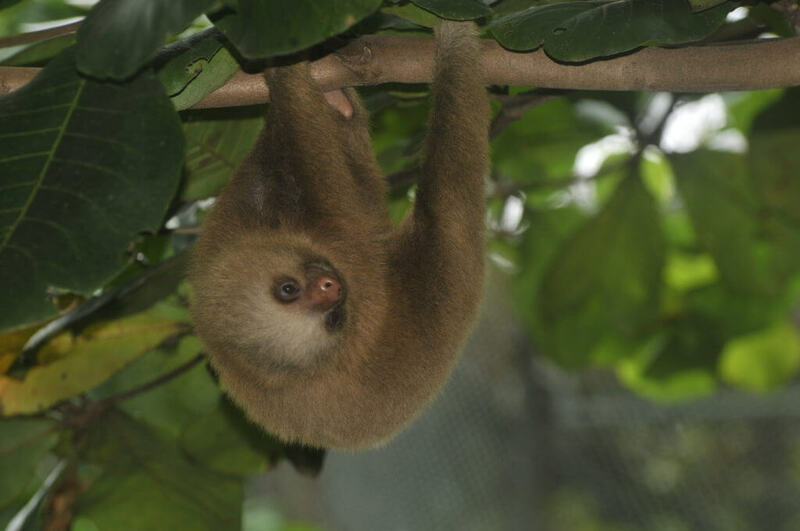 At NATUWA volunteers learn everything about the management and care of charismatic sloths. Caring for animals is an activity full of challenges that involves a lot of commitment and responsibility. But even greater, is the commitment to take care of baby sloths that still can not feed themselves. 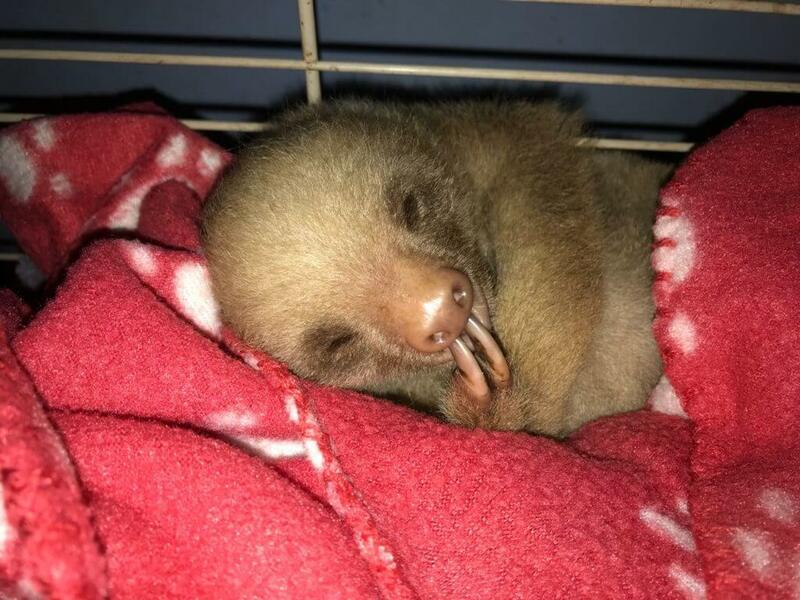 The baby sloths without a mother that takes care of them, depend highly on the feeding that the human being takes until his snout, literally. They are helpless creatures that can hardly survive without the assistance of the mother. Unfortunately, many baby animals are removed from the ecosystem, most of the time with the intention of having an “adorable” pet and others by the illegal pet trade. To this is added, the offspring of mothers who have had fatal accidents crossing the road, where miraculously the baby survives – baby sloths, anteaters, opossums, etc -. Papita, the orphan baby who survived the attack of dogs. His mother died. 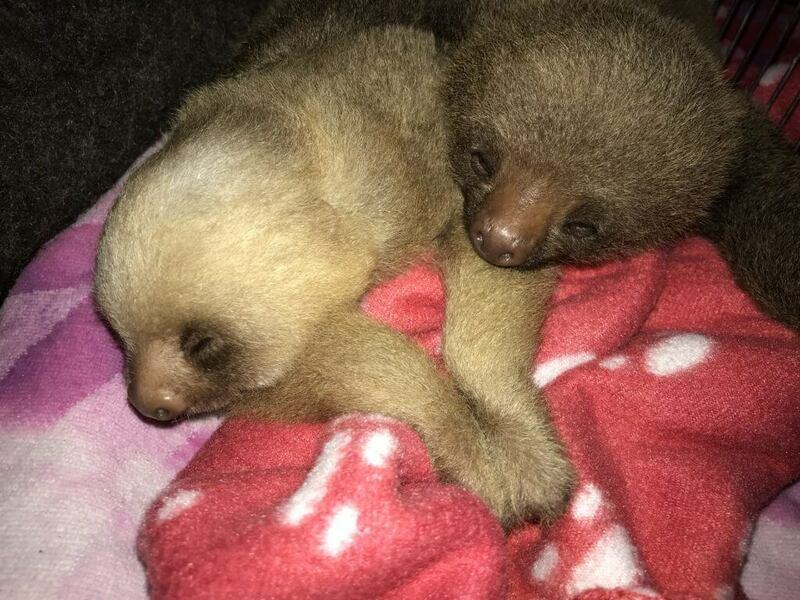 So, for these baby sloths and other orphans, the only chance of life is the one they find in the animal refuge center. Free from a violent death, in tragic conditions of starvation or desiccation, a death full of agony. Thanks to the work we carried out at NATUWA, together with the Volunteers, the Fire Department, the Public Force and the National Ministry of the Environment and Energy (MINAE), we prevent these animals from suffering and at the same time, we offer them the opportunity to return once again, to their life in the trees. Each wildlife volunteer has a huge impact on the lives of the animals. 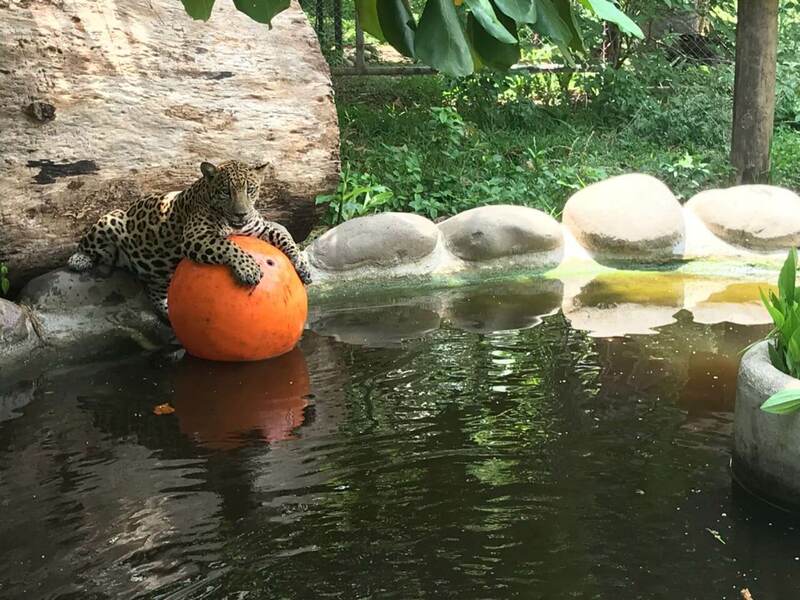 Because, with your help We can guarantee quality of life to the animals through activities of environmental enrichment, proper feeding, surveillance and general care. Together, we can improve the lives of animals in captivity and focus our attention on our rehabilitation and release efforts. 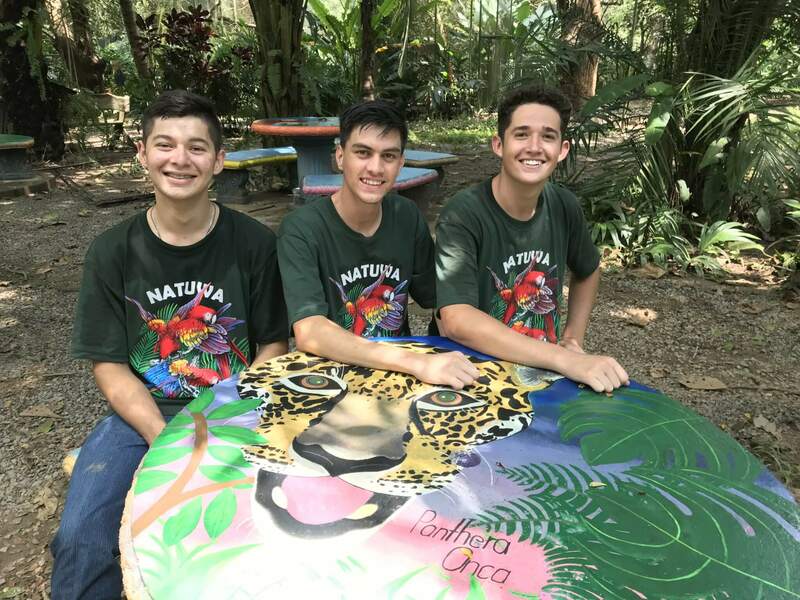 NATUWA is a wildlife volunteering opportunity where you can help and learn about how to conserve amazing creatures and their importance to the ecosystem. 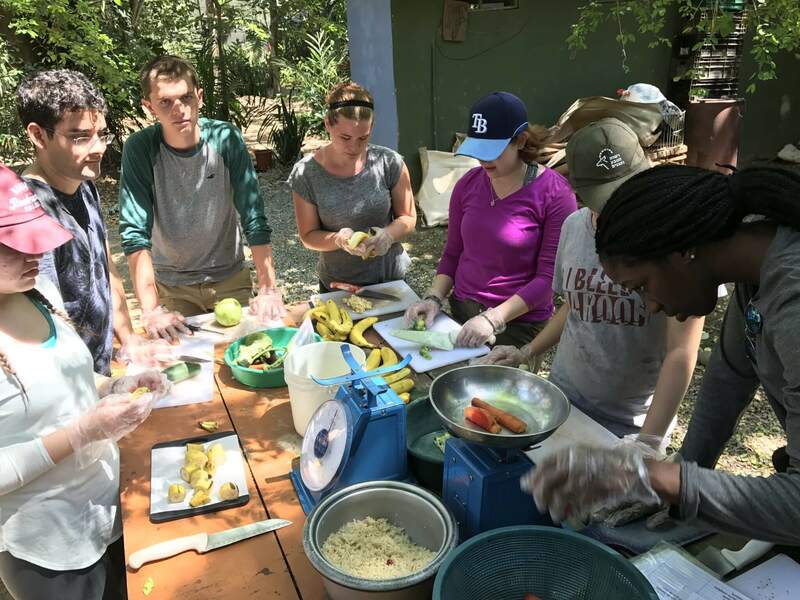 Why you should volunteer at NATUWA? At NATUWA, we are all animal lovers. And we know for a fact that many wild animals require our help. But, without interfering with the interactions they have with their natural environment, their ecology. However, being an animal lover comes with a lot of responsibility and comminment. It is our responsibility to direct our love in a positive manner. Loving an animal does not mean hugging, touching, or showing “affection” to an animal, but rather having scientific knowledge of how to care for an animal in a way that will allow it to succeed in nature. Come to NATUWA and learn with us to be a real Wildlife Volunteer. In few words, to learn to coexist in harmony with the environment that surrounds us. Do not talk to animals. Do not feed the animals (outside feeding time). When taking pictures, the use of flash is prohibited. The use of any type of drug is prohibited. Be respectful of the staff of the sanctuary (sexual harassment, racism, homophobia or xenophobia will not be tolerated). Do not allow strangers (outsiders) to enter the sanctuary. Follow the safety rules according to the activity (gloves, helmet, eyeglasses, boots, pants). Do not carry any electronic device during working time (Cell phones and camaras). Insect repellents containing DEET are strictly prohibited. The price for groups of Institutions, Universities or related, should be negotiated directly with NATUWA. There are a few items that would help the animals that are difficult to purchase in Costa Rica. These items are listed on our Amazon wish list. Items that are easiest to carry in luggage are: Harrison’s Organic Juvenile Bird Formula and the Meyenburg’s goat milk powder. Volunteers are encouraged to bring these items to help the animals! Volunteers may arrive whenever they want, during opening hours (6:00am to 4:00pm). Biodegradable soap, shampoo, detergent and other hygiene products. Thin bed sheets (one pair is provided). All meals are provided for volunteers. Vegetarian options will be provided upon request. In case of an emergency, the closest hospital is 40 minutes away. La pulperia (small store) is a short walk from the sanctuary. Only 1 km away!. The meals are typical dishes of Costa Rica. Almost every meal includes rice, beans, or salad. Juice or coffee is offered for every meal. It is very important that you inform us if you have any special diets or food allergies. 1. “Gallo pinto” with: egg, plantain, or sausage. 3. Fruits (watermelon, banana, and papaya). 1. Rice and beans with a meat. 2. Rice and beans with spaghetti. 3. Meat and vegetable soup with rice. Currently, volunteer housing is in two separate buildings. 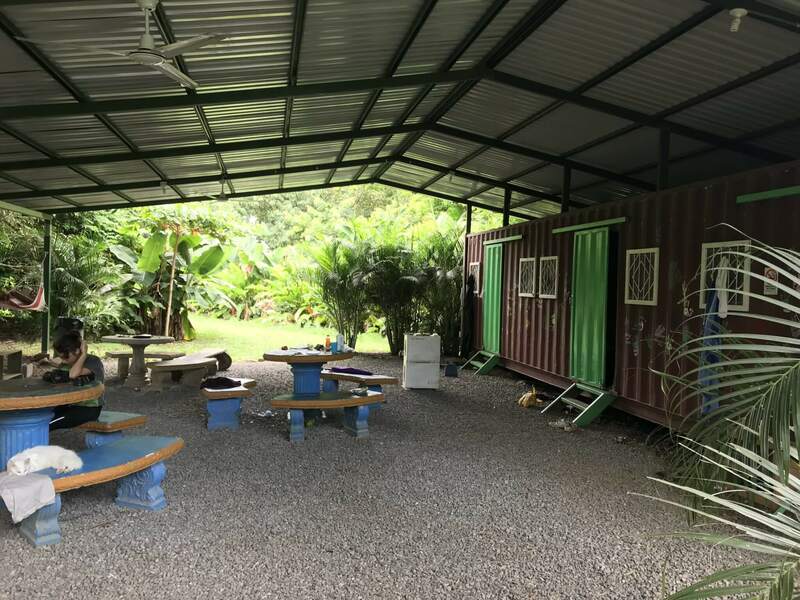 The first building is a typical Costa Rica country style house with one room including three bunk beds, a fan, storage space, and windows. The house is typically reserved for long-term volunteers (4 weeks or more). The second building is a modified shipping container with three rooms. Each room of the container includes two bunk beds, a fan, and storage space for personal items. It is advised for volunteers to bring their own mosquito nets. Volunteers are expected to keep their areas clean and respect the property of others. The bathroom and shower are located in a separate building adjacent to the rooms. No hot water is available for the showers. Laundry is typically done by laundry machine. Drying of clothes is done on clotheslines. WiFi is currently available in the volunteer housing and in the Sanctuary gift shop. Transportation from the airport is not provided, but can be arranged – just let us know if you need help getting here! Costa Rica has two seasons, the wet season and the dry season. 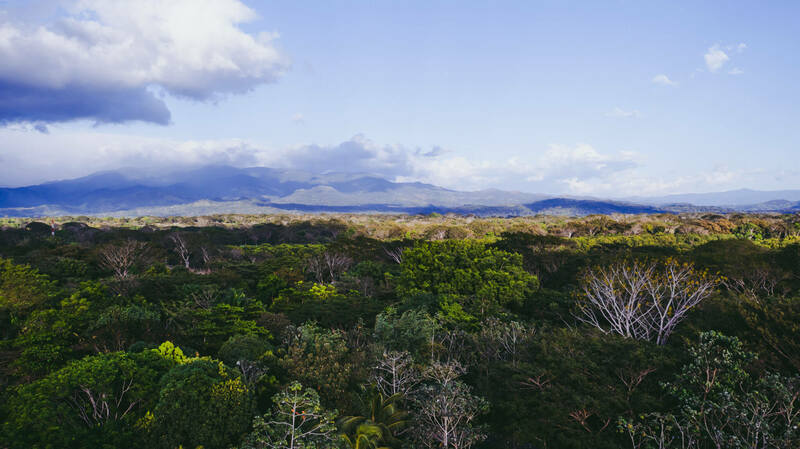 The wet season is from May to November, which brings rain almost every day, but at the same time highlights the lush green landscape of Costa Rica. During these months, the weather is cooler, making it easier to work in. The dry season is from November to May, during this time there is a lot of sunlight and a beutifull blue skye. The landscape is covered with fruits, such as mangos and beautiful flowers multicolor!. NATUWA is located in the dry forest where it is very hot, especially during the dry season. 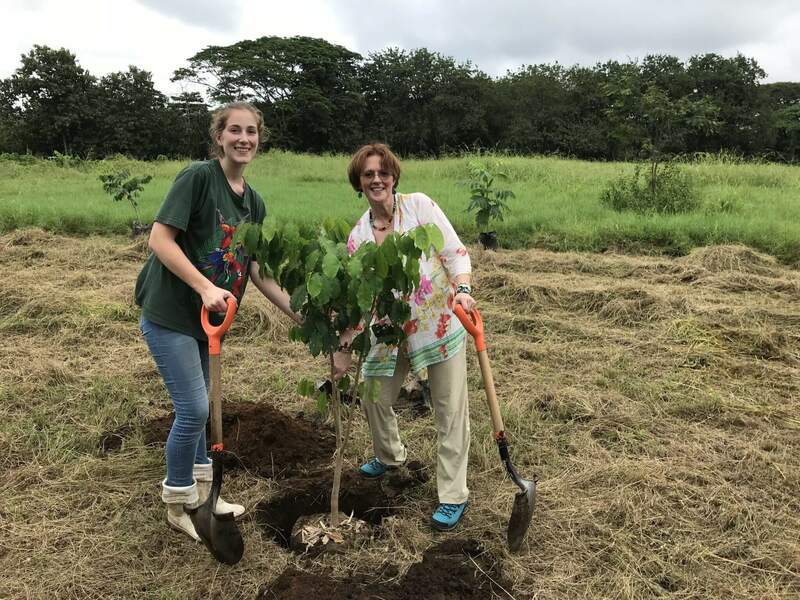 Then, you decide on what season of the year you will do your wildlife volunteer work in Costa Rica. How to travel to NATUWA ? Public busses run everyday (except Sunday) to and from the sanctuary for the volunteers. At 6:00 am the public bus arrives in front of the sanctuary to transport people to the town of Puntarenas where there is a bus station with busses to travel around Costa Rica. The bus leaves from Puntarenas to Aranjuez at 11:30 am, arriving to the sanctuary around 1:00 pm. The price of the public bus is about 1 mil colones (equal to about $2). A taxi service can be requested to bring volunteers to the sanctuary. From Puntarenas to the sanctuary, volunteers can expect to pay about $35. From the Juan Santamaria Airport to NATUWA the cost is $100. Every week, volunteers will receive a day off to be able to relax and explore surrounding areas. The staff of the sanctuary can help organize places to visit. Options include the beach, local river, Puntarenas, Monteverde (two days), Volcano Arenal and others. Public buses run every day (except Sunday) to and from the Sanctuary to Puntarenas. At 6:00am a public bus arrives in front of the Sanctuary to transport people to the town of Puntarenas where there is a bus station with buses to travel around Costa Rica. The bus leaves from Puntarenas to Aranjuez at 11:30am, arriving at the sanctuary around 1:00pm. The price of the public bus is 1,000 colons (about $2). A taxi service can be requested to bring volunteers to the sanctuary. 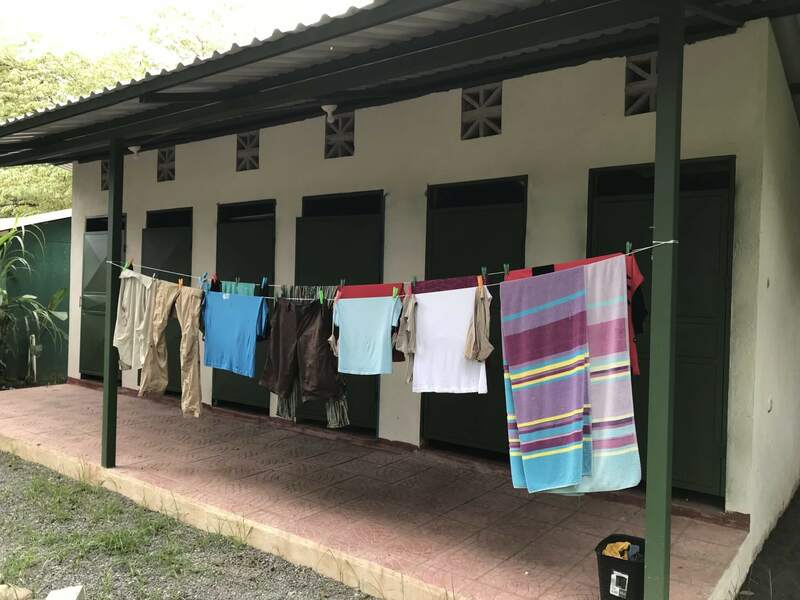 From Puntarenas to the sanctuary, volunteers can expect to pay about $35 for a taxi, and about $80 from the airport (Alajuela) to NATUWA. Every Sunday, the feeding of the animals is the only task of the day, for which there is more time, to enjoy the beautiful Sanctuary. After feeding, we usually visit the city of Esparza, only 30min from NATUWA. To eat pizza !! !, each participant pays the trip with a cost of $ 7 approximately and everyone pays what they consume. To start your registration process at NATUWA, fill out the registration form for wildlife volunteers. The information you will send will be analyzed and we will contact you as soon as possible. magical is the word to describe this place. I wasn’t able to stay as long as I wanted to but I plan to go again in the future for a long time. Not only were the staff and other volunteers so welcoming, being able to contribute to the well being of these precious animals is a feeling like no other. A huge perk is meeting people from different parts of the world and learning about their different cultures.